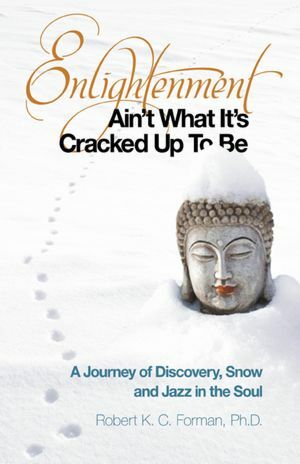 Enlightenment Ain’t What it’s Cracked Up To Be is a meandering autobiography about a confused man who searches futilely for enlightenment. When I read this book the first thing that came to mind was something my own Lama often says: “Enlightenment beyond Enlightenment is NOT Enlightenment.” Foreman, apparently, has spent decades of his life looking for the enlightenment that is NOT enlightenment by drifting from one religion to another, grazing here and there, finding dissatisfaction with all, and deciding at some point that everyone, including the Buddha is somehow wrong and creates his own definition of what enlightenment is. Enlightenment is simple and he, like so many other seekers, have overlooked the simplicity of it, thinking that if only I become fully enlightened I’ll never have a neurotic, unhappy thought, that I’ll be blissful and happy forever and ever, amen. That’s not enlightenment. No spiritual master, from Buddha to Christ insisted that we had to lobotomize ourselves in order to gain inner peace. There is an old Irish proverb that states, “There is only one man who is altogether happy, and that’s the village idiot.” Buddha did not intend to make us idiots. Enlightenment does NOT come with a lobotomist’s drill and scalpel. What Foreman and so many other spiritual people don’t get is this: Enlightenment does not free us from suffering. What Enlightenment does is free us from the tyranny of suffering. If we look at the life of Buddha we see that he suffered as much, if not more so after enlightenment than he did before. Women made false accusations against him, men tried to assassinate him. Mara the demon lord tormented him relentlessly. When there was famine he went hungry, when it was hot he dehydrated. Yes, the Buddha suffered. But what made him so different wasn’t that he mentally lobotomized himself and pretended everything was okay. Instead, he learned how to take that suffering and transform it into other things, compassion for others, wisdom, love. What Foreman does in his book doesn’t even come close to that. In fact, he disregards Buddha’s teachings and moves from one religion to the next, to one cult to the next, finding himself more neurotic and dissatisfied with each passing adventure. And to make it even worse, he wants to teach what he’s learned to others. I was troubled by his heavy-handedness as well as sexism toward other spiritual paths and female teachers. On page 197 for example, he describes an encounter with a female Korean Zen Roshi, where he tries to engage her in conversation. When she doesn’t respond as he thinks she should be becomes outraged and rants against this woman for the better part of two pages. Not only does rant against her, but anyone whom he deems is too spiritually uppity. I found this lack of respect of other’s cultures and spiritual paths as arrogant and deeply troubling. Although this is one of O’s better edited books, I did not find it useful spiritually, found sections of it troubling, and probably even potentially dangerous on some levels. I do not recommend it. Author: Robert K.C. Forman, PhD.